Dementia, including Alzheimer's disease, is difficult to detect in a population often afflicted with other mental illnesses and maladaptive social behaviors. During this interactive webinar we will explore how symptoms and behaviors can be misconstrued and identify environmental risk factors that can contribute to costly accidents and injury for inmates with dementia. 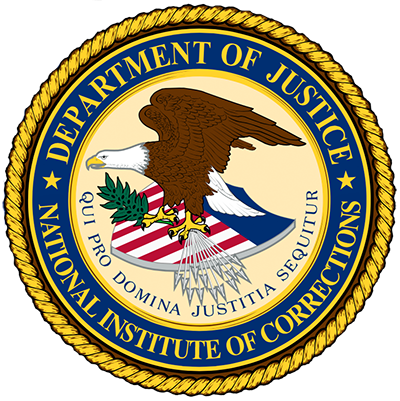 We will also take an in-depth look at the Gold Coat program based at the California Men's Colony State Prison in San Luis Obispo. This model consists of healthy inmates specially trained to care for those with dementia and other cognitive impairments, who are designated by the gold smocks they wear. The experiences of former Gold Coats will reveal a working rehabilitative program, a true model of reform that can provide skills for meaningful employment while caring for those who cannot help themselves. Every facility is different with unique needs. During the webinar, we will provide a foundation for developing a self-contained model to meet the needs of cognitively impaired inmates while healthy inmates gain valuable, marketable skills. Utilizing images, narratives and interactive exercises, panelists will explore the challenges of aging in prison with a focus on dementia care. Focus areas include: What Happens to the Brain When Dementia / Alzheimer's Strikes; 10 Warning Signs; Effective Communication Strategies; Activities of Daily Living (ADLs); Alternative Environmental Programming; and Building a Successful Dementia Program. At the conclusion of the webinar, participants will be able to: Paraphrase their own working knowledge of dementia, in particular Alzheimer's Disease; Describe how symptoms and behaviors can be misconstrued as maladaptive behavior; Identify environmental risk factors that can contribute to costly accidents and injury for inmates with dementia; and Give examples of tools to develop a method to reduce risk factors, promote effective programming and provide cost effective care.